This is your source for dentistry and oral health links and resources. The specialities featured are based on the departments in the University of Florida's College of Dentistry. The twelfth edition of Burket's Oral Medicine remains a comprehensive text of medical disease affecting the mouth that is ideal for use by students and residents. Written by a group of over forty internationally-respected experts in the field, it includes 23 chapters covering all major aspects of oral medicine. The twelfth edition contains new chapters, illustrations and figures. The text is accompanied by a CD, which will contain case reports for each chapter and an expanded bibliography. Now in full color, Contemporary Orthodontics, 5th Edition is a practical resource with a long tradition of excellence. This book includes detailed information on diagnosis, treatment planning concepts, related problems or controversies, and current treatment procedures, including the role of orthodontics in comprehensive treatment of patients with multiple problems. Updated material on psychosocial problems in orthodontic treatment, oral function, and the relationship between injury and dental disease. Case studies throughout the text highlight the demand for orthodontic treatment, the etiology of orthodontic problems, and treatment planning for cleft lip and palate patients. The Developing Human: Clinically Oriented Embryology, delivers the world's most complete, visually rich, and clinically oriented coverage of this complex subject. Written by some of the world's most famous anatomists, it presents week-by-week and stage-by-stage views of how fetal organs and systems develop, why and when birth defects occur, and what roles the placenta and fetal membranes play in development. Develop your skills in evaluation and dental treatment planning for all types of patients! Diagnosis and Treatment Planning in Dentistry, 3rd Edition provides a full-color guide to creating treatment plans based on a comprehensive patient assessment. Using evidence-based research, this book shows how risk assessment, prognosis, and expected treatment outcomes factor into the planning process. Written by experienced dentistry educators Stephen Stefanac and Samuel Nesbit, this book is the only dental resource that combines patient examination and oral diagnosis with treatment planning. Help your patients look better and improve their self-esteem with this complete, user-friendly guide to all of the latest esthetic dentistry procedures that are in high demand. Thoroughly updated by the most renowned leaders in the field, the new third edition of Esthetic Dentistry: A Clinical Approach to Techniques and Materials offers clearly highlighted techniques in step-by-step fashion, with unmistakable delineation of armamentarium, for the treatment of esthetic problems. Plus, an invaluable troubleshooting guide covers the different types of esthetic problems (such as size, discoloration, and spacing issues), potential solutions, and references to chapters where the specific problem is discussed in detail. This introduction to Evidence-Based Dentistry provides a much-needed orientation in the subject for students and professionals alike. It is a ground-level book for those seeking to understand evidence-based dentistry and its significance for clinical practice. The book is anchored in the dental literature: the majority of the chapters offer guidance on interpreting a full published paper; where both the subject of the paper and the study design is of relevance to the field of dentistry. Each chapter is organised in a similar way, providing a structured approach to reading and understanding research articles or commercial product information. In this respect, Evidence-Based Dentistry is designed as an introduction to understanding published research and its implications for the dental surgery; rather than as a guide on undertaking research. In the modern world, new information is constantly being produced that affects patient treatment, and clinicians need the skills to evaluate and apply pertinent information to their practice. This book outlines the key concepts of evidencebased dentistry and illustrates the process from analysis to implementation using relevant clinical examples. A practical, "how-to" guide to safe anesthesia practices in dentistry, Handbook of Local Anesthesia, 6th Edition covers all the latest advances in science, instrumentation, and pain control techniques. From basic concepts to specific injection techniques, from dosage charts to the proper care and handling of equipment, this book provides in-depth, full-color coverage of key anesthesia topics, including specific hazards and errors in technique that may result in complications. This unique chairside handbook is the only product of its kind focused specifically on nitrous oxide and oxygen sedation. Handbook of Nitrous Oxide and Oxygen Sedation, 4th Edition takes a need-to-know approach, featuring a user-friendly outline format that is easy to digest along, with summary tables and boxes, helpful icons, clear illustrations, and step-by-step techniques with photos. Now in full color, this portable text is ideal in educational and clinical settings. Comprehensive coverage with the convenience and portability of a handbook equips a dental team member with all the background, technique, recovery, and additional information necessary to administer and monitor N2O/O2 sedation. Ingle's Endodontics 6 by Baumgartner, J. Craig Ingle, John Ide Bakland, Leif K.
Recent advances in genetics, molecular biology, diagnostic imaging and surgical techniques require a substantial understanding of prenatal development morphogenesis. The clinical significance of the normal mechanisms of embryogenesis, developmental failures and consequent craniofacial anomalies is of increasing concern to plastic and orofacial surgeons, otolaryngologists, orthodontists, neonatologists, and speech pathologists. Clinicians dealing with malformations needing comprehension of the exponential expansion of information on molecular genomics, dysgenesis, teratology and the etiology of syndromes and anomalies are served by this book's succinct contents. While providing clinicians with a basic background for treating craniofacial anomalies, this text will also appeal to teratologists, embryologists, and anatomists. Covering both new and proven techniques in this rapidly changing field, this classic text helps you provide solutions to many common occlusal and TMD problems. Clear descriptions and a new full-color design promote a complete understanding of normal, abnormal, and dysfunctional occlusal relationships and masticatory function and dysfunction. With its conservative, cost-effective approach, this book shows you how to achieve treatment goals while keeping your patients' best interests in mind. Solid foundation of the anatomical, physiological, and biomechanical aspects of the masticatory system gives you the basic foundation for clinical use. Detailed how-to information on clinical examination, data gathering, and differential diagnosis for temporomandibular disorders helps you learn to correctly plan treatment. Be prepared to handle life-threatening dental emergencies! Medical Emergencies in the Dental Office, 7th Edition helps you learn the skills needed to manage medical emergencies in the dental office or clinic. It describes how to recognize and manage medical emergencies promptly and proactively, and details the resources that must be on hand to deal effectively with these situations. This edition includes new guidelines for drug-related emergencies, cardiac arrest, and more. Written by respected educator Dr. Stanley Malamed, this expert resource provides dental professionals with the tools for implementing a basic action plan for managing medical emergencies. Ideal for chairside use by the entire dental team, Mosby's Dental Drug Reference provides guidelines for safe, accurate drug administration. More than 800 drug monographs make it easy to find indications and dosages, contraindications, interactions, side effects, serious reactions, and dental-specific drug information. With profiles of drugs recently approved by the FDA, this edition is completely up to date. From lead editor Arthur Jeske, a well-known researcher and author on dental pharmacology, this pocket-sized reference provides the current, concise drug information you need at the point of care. More than 800 detailed monographs include each drug's generic name, pronunciation, brand names, drug class, controlled substances schedule, mechanism of action, uses or indications, doses and routes of administration, side effects/adverse reactions, contraindications, precautions, pharmacokinetics, drug interactions of concern to dentistry, and other dental considerations. Describing the diagnosis and management of maxillofacial and associated traumatic injuries step by step, Oral and Maxillofacial Trauma, 4th Edition takes you beyond the surgical management of head and neck trauma to cover the general management of traumatic injuries, systemic evaluation of the trauma patient, and special considerations associated with maxillofacial trauma patient care. New to this edition are over 700 full-color illustrations showing details of traumatic injuries and their treatment. Edited by head and neck trauma expert Dr. Raymond J. Fonseca, along with over 80 highly respected contributors, this comprehensive reference provides all of the information you need to offer the best care possible to maxillofacial trauma patients. With more than 1,000 high-quality radiographs and illustrations, Oral Radiology: Principles and Interpretation, 7th Edition visually demonstrates the basic principles of oral and maxillofacial radiology along with their clinical application. First, you'll gain a solid foundation in radiation physics, radiation biology, and radiation safety and protection. Then you'll learn intraoral and extraoral imaging techniques, including specialized techniques such as MRI and CT. The second half of the book focuses on how to recognize the radiographic features of pathologic conditions and interpret radiographs accurately. This edition also includes new chapters on forensics and cone-beam imaging. Use your knowledge of pharmacology to enhance oral care! Pharmacology and Therapeutics for Dentistry, 6th Edition describes how to evaluate a patient's health and optimize dental treatment by factoring in the drugs they take. It explores the basic fundamentals of pharmacology, special topics such as pain control, fear and anxiety, and oral complications of cancer therapy, and most importantly, the actions of specific drug groups on the human body. Whether you're concerned about the drugs a patient is already taking or the drugs you prescribe for treatment, this book helps you reduce risk and provide effective dental care. Learn the most up-to-date information on materials used in the dental office and laboratory today. Emphasizing practical, clinical use, as well as the physical, chemical, and biological properties of materials, this leading reference helps you stay current in this very important area of dentistry. This new full-color edition also features an extensive collection of new clinical photographs to better illustrate the topics and concepts discussed in each chapter. Covering the functional and esthetic needs of edentulous patients, Prosthodontic Treatment for Edentulous Patients: Complete Dentures and Implant-Supported Prostheses, 13th Edition helps you provide complete dentures, with and without dental implant support. It addresses both the behavioral and clinical aspects of diagnosis and treatment and covers treatment modalities including osseointegration, overdentures, implant-supported fixed prosthesis, and the current and future directions of implant prosthodontics. 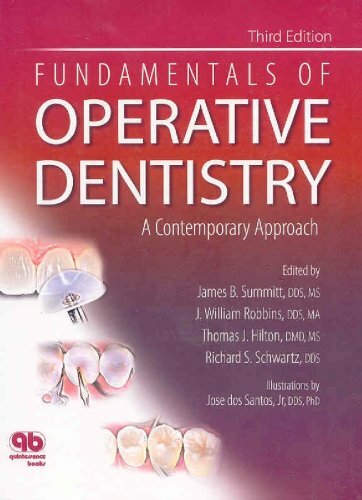 Summitt's fundamentals of operative dentistry : a contemporary approach by edited by Thomas J. Hilton, Jack L. Ferracane, James C. Broome ; Illustrations by Jose dos Santos Jr. Applying dental anatomy to the practice of dentistry, Wheeler's Dental Anatomy, Physiology, and Occlusion, 10th Edition provides illustrated coverage of dentitions, pulp formation, the sequence of eruptions, and clinical considerations. The market leader, this text is used as a reference in creating examination questions for the dental anatomy and occlusion section of the NBDE Part I. This edition expands its focus on clinical applications and includes dozens of online 360-degree and 3-D tooth animations. Written by expert educator and lecturer Dr. Stanley Nelson, Wheeler's Dental Anatomy provides a solid foundation in this core subject for the practice of dentistry. 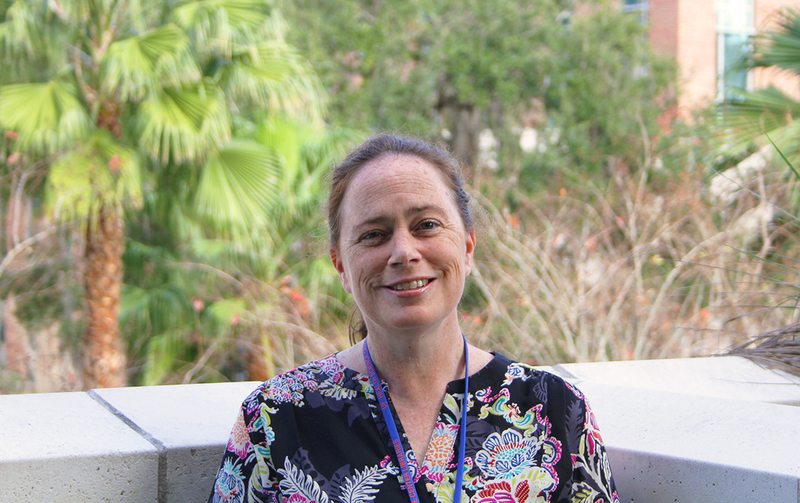 Access to electronic resources should be seamless from any UF networked computer, although some computers in Shands may require remote access. Some databases, journals and resources listed in this guide are freely available, and some are paid subscriptions by UF. If you can't access full-text, search the library catalog for the book/journal title to see if the library has a subscription. If the library does not have access to the full-text of an article, you can request a free copy via InterlibraryLoan. The full-text will be emailed within 2-3 business days. Books and other items can also be obtained via ILL, although they take longer to process. Find a specific journal (not article) title. To browse a short alphabetic list, select "Title Begins With" and type as few as 3-4 letters of the first word of a title.